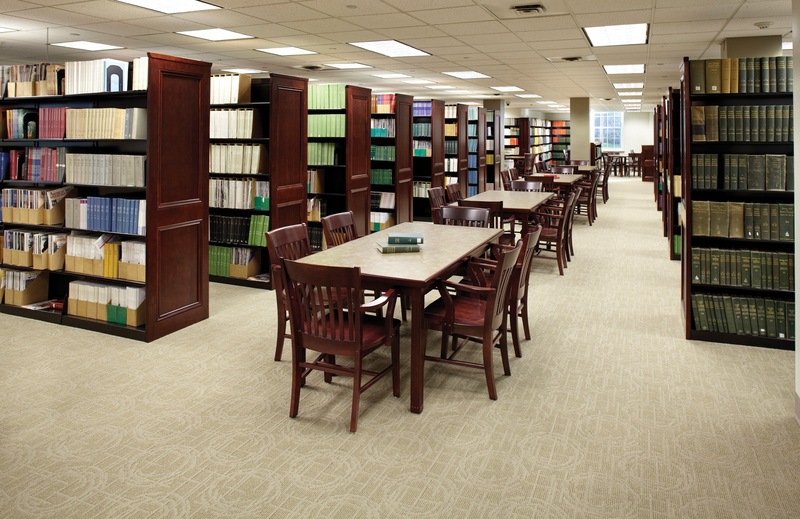 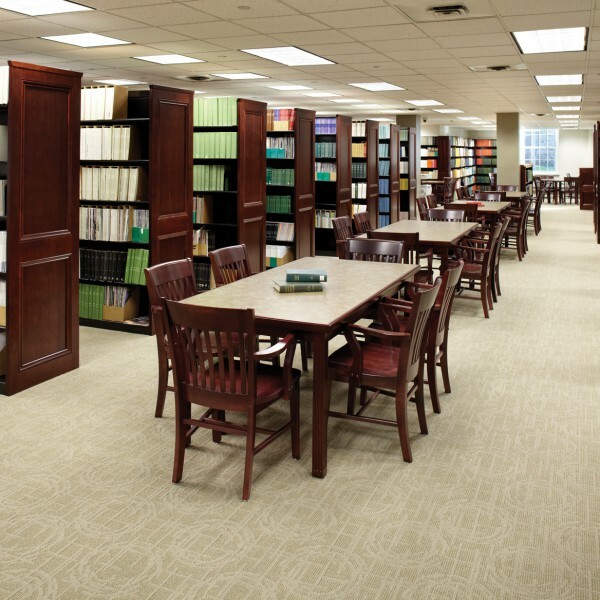 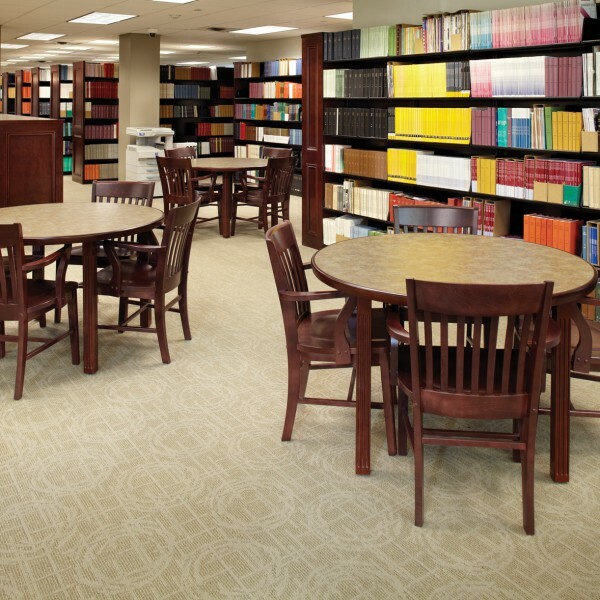 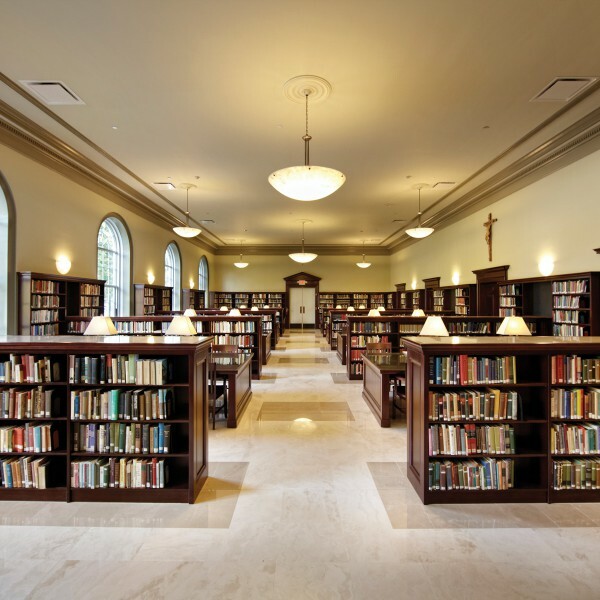 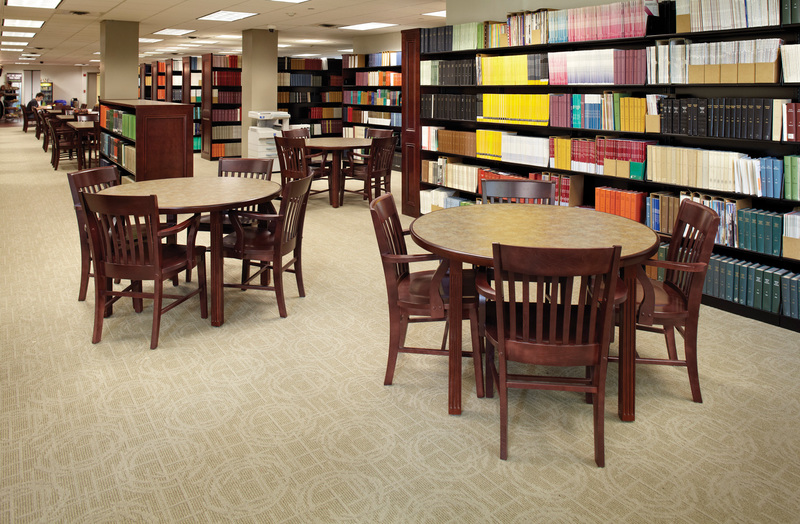 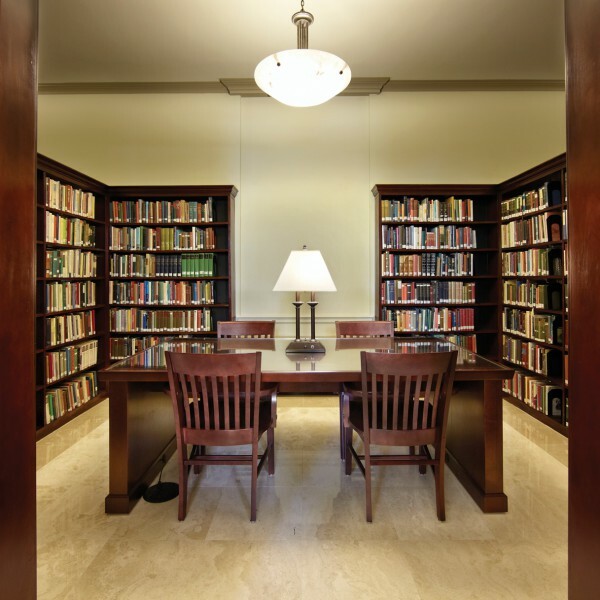 DEMCO Interiors helped design a more user-friendly student experience while preserving the beautiful aesthetics of the Ryan library, originally built in 1949. 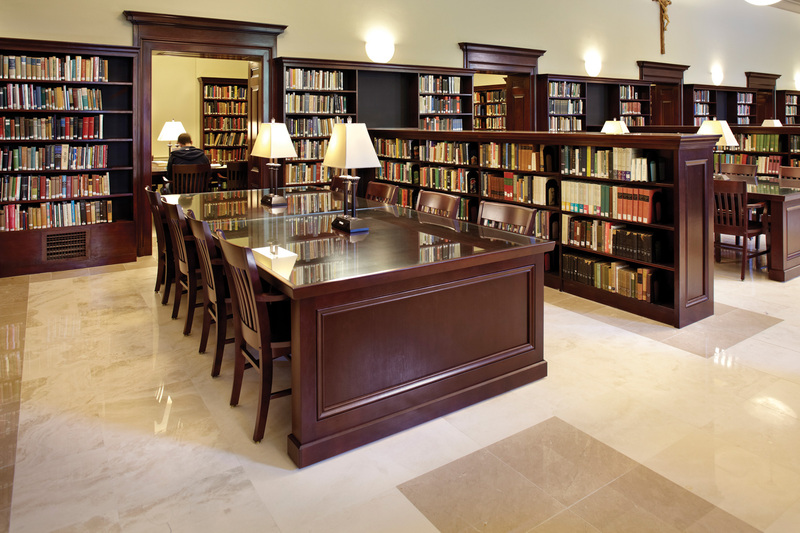 Incorporating tables with power ports for laptops and integrated wire management for desktop computers provides Ryan Library patrons more ways to stay connected. 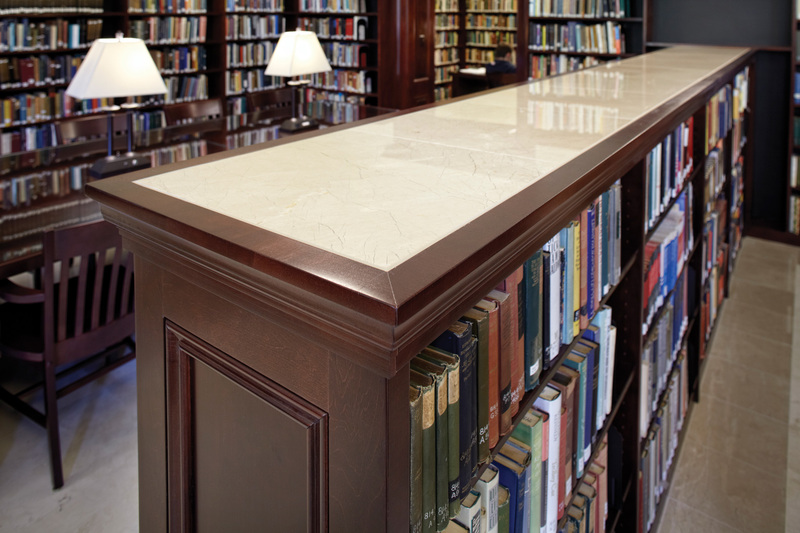 Shelving units included custom end panels and canopy tops that were designed to accept polished slate inlays. 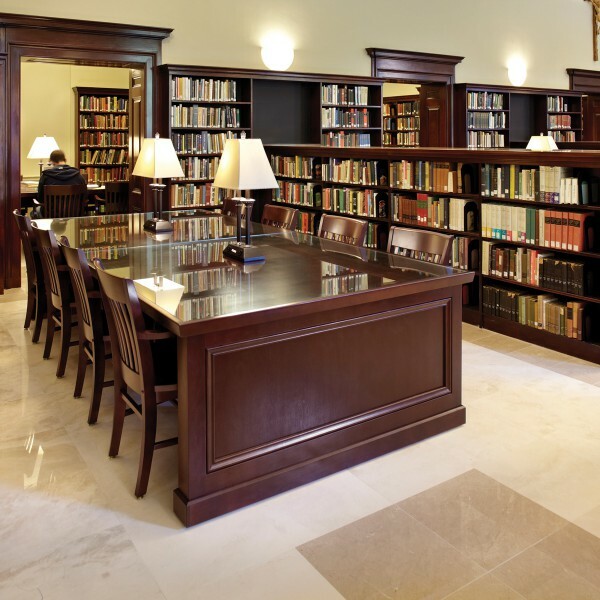 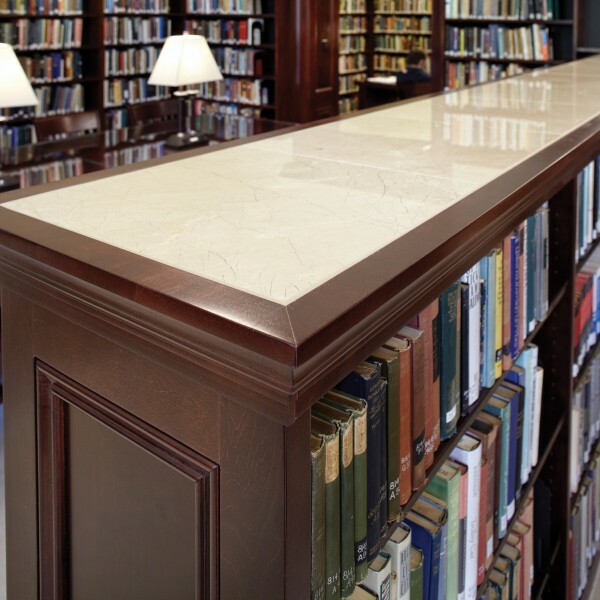 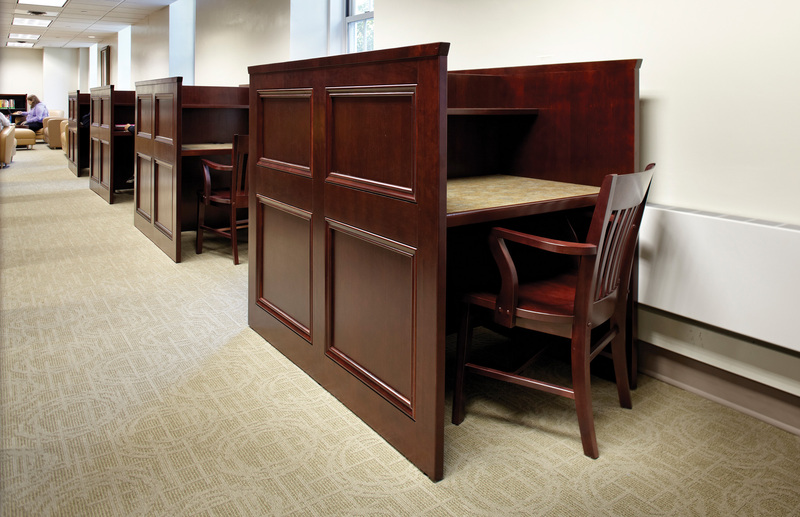 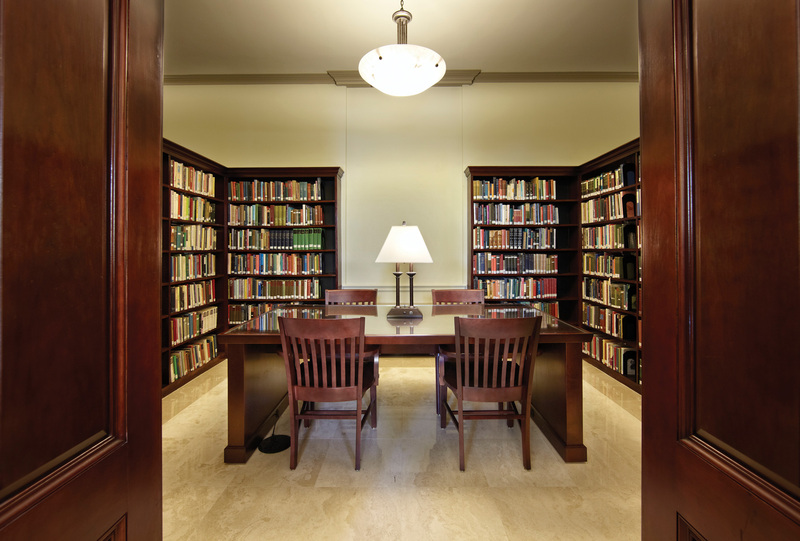 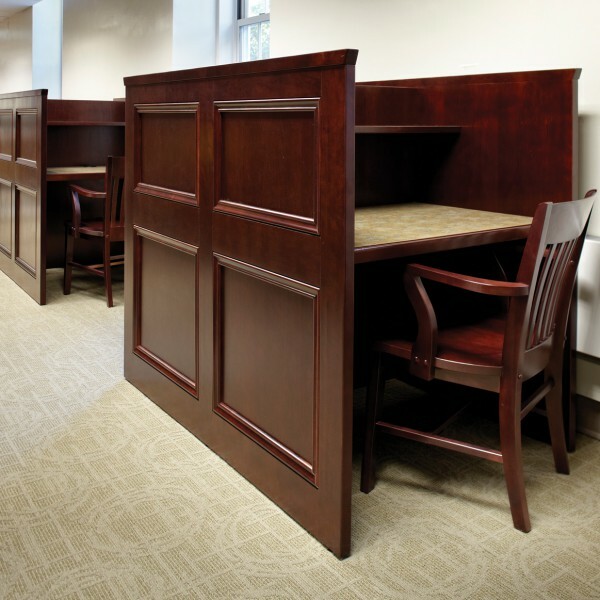 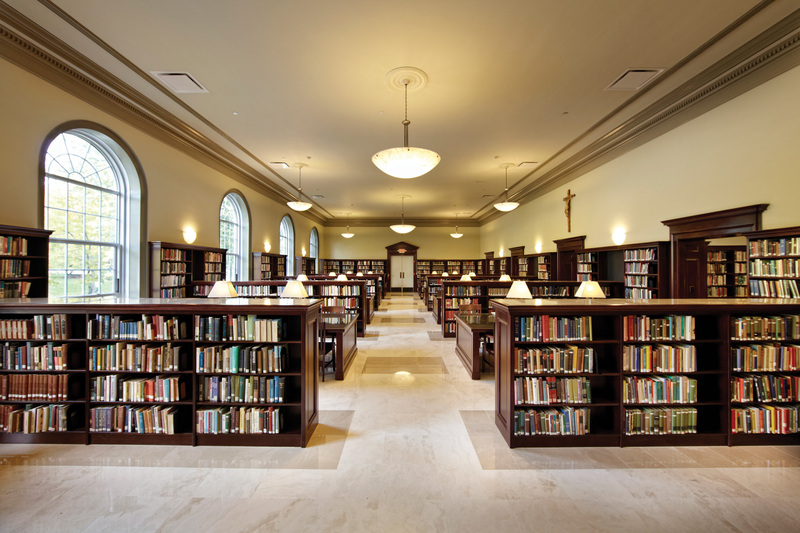 The existing built-in perimeter shelving and elegant woodwork around the doorways provided the foundation and inspiration for DEMCO Interiors designers to tailor the various furniture elements specifically to this library space.